God didn’t use cookie cutters to create us. He made us each distinctly unique, and He made us to interact with one another—in a good way! Being uniquely created, we all respond to life’s circumstances differently, even in grief. We all grieve in our own way. Despite the fact that I’ve been going through the grieving process, I don’t claim to understand it. Dissecting the process hasn’t been the goal; letting it take its course has. And yes, on a blogging level, I’ve been quite silent. Have there been lessons to share? Yes, of course. However, having lived in this skin of mine for quite some time, I knew that I would lean toward being a private griever, that I would need times of solitude, that I would need private time to process it. Knowing that, I’ve been relatively silent on the subject as I’ve carved out the time and space I felt I needed for that alone time. Yet, even during that time, God impressed on my heart the need to reconnect with friends that I didn’t have the time or energy to connect with during my husband’s long illness. He reminded me, despite my tendency to want to withdraw, that I really do need the love and support of friends—in a big way. And you know what? He was right. (He always is!) They’ve been there for me. Loving. Supportive. Ready to listen. Ready to give hugs. Each uniquely created by God and such a blessing in my life. I’m so glad that God didn’t pull out the cookie cutters when He created us. I’m so thankful for those uniquely diverse and wonderful people that God has put in my life. What about you? Are you thankful for all those special people in your life? If so, let them know! I’m a mother of four great sons. I’m a widow who’s transitioning back into full-time missions to work with NTM’s Communications department. 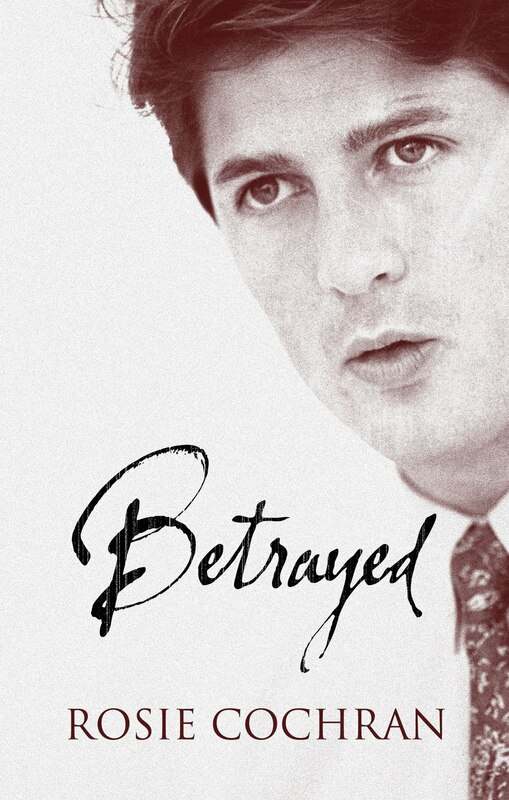 I’m also an author of three Christian suspense novels: Betrayed, Identity Revealed, and A Murder Unseen. 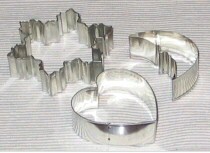 (Available at: Amazon.com.) Greater than that, I am a child of God with a passion for God, my family, and writing! If you want to connect with me, join me on Twitter, Facebook, Goodreads, and Pinterest. Interested in updates by email? CLICK HERE! Despite my son’s misgivings on the abilities of my GPS, I love the thing. Yet, I must admit that at times it fails me—even if only temporarily. As great of an aid as they are, they still have their limitations. But God? No limitations there. Case in point. Did you know your GPS will lose signal when you take the underwater tunnel between New Jersey and Manhattan? You get out the other end, in unending traffic, without a clue as to which lane you should be merging into. A GPS signal can fail. But God? He never fails. Detours bring confusion to my poor GPS. Driving directly under the Brooklyn Bridge after missing the detour, my GPS showed the bridge stretching out before me, when, in reality, there was nothing but water! To a GPS, detours can be a big problem. But to God? Detours aren’t even detours. They are just side trips on the road of life. Don’t you just love it when your GPS tries to direct you onto a road that doesn’t exist? Been there. Done that. Or it doesn’t take into account that it’s nearly impossible to merge across four lanes of traffic to take the next exit? And then I get to listen to that annoying “recalculating” as my GPS tries to figure out where I’ve gotten to. But God? He never has to recalculate. He knows the beginning from the end. Nothing catches him by surprise. The GPS may need to recalculate, but God does not. My son might be justified in having some misgivings about my GPS, but I’m thankful he never has to have misgivings about our God. What an awesome God we serve! I’m a mother of four great sons—and I have a wonderful daughter-in-law! 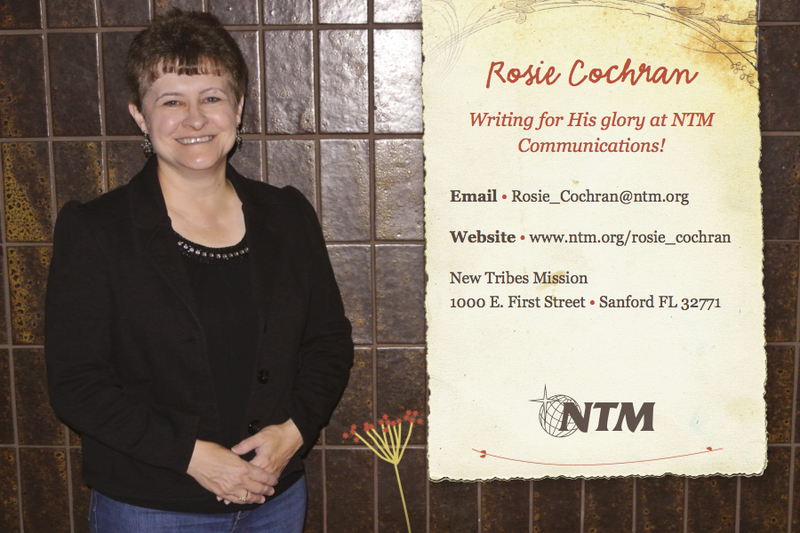 I’m a recent widow who’s transitioning back into full-time missions to work with NTM’s Communications department. I’m also an author of three Christian suspense novels: Betrayed, Identity Revealed, and A Murder Unseen. (Available at: Amazon.com.) Greater than that, I am a child of God with a passion for God, my family, and writing! If you want to connect with me, join me on Twitter, Facebook, Goodreads, and Pinterest. Interested in updates by email? CLICK HERE! I smothered a smile. I had been studying the mic myself and knew that, though I should be able to reach it, they definitely hadn’t considered my being vertically challenged when they set it up. Being the first missionary in line, I smiled, stepped forward and began my introduction. Comic relief came to the rescue. If there had been any formality before, it melted into oblivion. That was the Wednesday evening kick-off to a great five-day Missions Conference at Second Baptist Church in Auburn, NY. Workshops, a missions prayer breakfast, a carry-in dinner and more filled those five days. Opportunities to hear and to share of the work the Lord is doing around the world were plenteous—as were special times of fellowship with the church family. It was an overall great conference. Last Sunday night was a night of firsts. I gave my first missionary presentation. Considering that my role in the past had been to smile when introduced and then sit back down while my husband gave the presentation, I thought it went better than expected. Driving home that night I had another first meeting—a meeting with a deer. My poor Toyota Yaris wasn’t so impressed with that meeting. The deer’s shoulder slammed into the front corner on the driver’s side, smashing her pretty blue bumper. Being a faithful little car, she drove me home with all her lights still functioning and without any apparent internal injuries. Of course, the next day I did have to check her in at the “auto ER”—commonly known as the repair shop. I’m sure she’s homesick and counting the days before she’s back in my driveway. The feeling is mutual. The chance encounter with the deer prompted my third first for the night. It was the first time I ever called 911. Three firsts in one night. You know, I really could have lived several more decades without needing to have two of those firsts. But the missionary meeting? Even though it was outside my comfort zone, it was a first meeting of many as I make plans to head back into missions full-time. That made it a good first. Prayers are appreciated for my upcoming meetings—and safety in all my travels! I am a widow—but my identity does not end there. I am a former pastor’s wife, former missionary, current full-time church secretary, mother of four great sons (and a wonderful daughter-in-law! 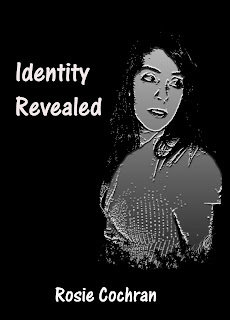 ), and author of three Christian suspense novels: Betrayed, Identity Revealed, and A Murder Unseen. (Available at: Amazon.com.) Greater than that, I am a child of God with a passion for God, my family, and writing! If you want to connect with me, join me on Twitter, Facebook, Goodreads, and Pinterest. Interested in updates by email? CLICK HERE! There’s the Surface Stuff—and the Stuff that Matters! It’s been nearly a month since I was reinstated as a member of NTM. I remember the first time I became a member and started this Partnership Development thing. I was a few decades younger back then and it was called Deputation in those days. I also had a husband who was pretty much the one responsible to figure it all out. But life has changed. My husband has been graduated to glory, so this time round it’s been left up to me—or so it would appear on the surface. That means I’ve been busy. While continuing my full-time job for now, I’ve been working on various projects in my spare time. The prayer card shown above was one of those projects, along with a ministry booklet and a display banner. Then there was a first prayer letter to get written and sent out. Of course, there have been meetings to get lined up and friends I want to spend time with while I’m still here. That’s the stuff that’s been left to me. The surface stuff. The rest is up to God. He knows I need a team that will pray for, encourage, and support me—and He’s already begun raising up these special people. Touching hearts to pray for me and to send encouraging notes and phone calls my way—God specializes in things like that. So yes, the surface stuff has been left up to me and I’ve been having a fun time with it. But the stuff that really matters, like touching hearts, is God’s department. I’ll just leave that up to Him. I am a widow—but my identity does not end there. I’m a former pastor’s wife and former missionary. I’m also a mother of four great sons (and a wonderful daughter-in-law! 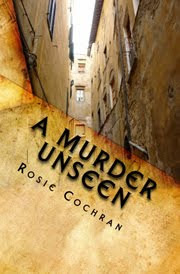 ), and an author of three Christian suspense novels: Betrayed, Identity Revealed, and A Murder Unseen. (Available at: Amazon.com.) Greater than that, I am a child of God with a passion for God, my family, and writing! I recently re-joined New Tribes Mission and am currently raising prayer and financial support before beginning to work with NTM’s Communication team. Blending ministry with my love for writing. God does amazing things! Walking through the doors of New Tribes Mission’s headquarters, I headed to the front desk to sign in. It was a strange feeling to be signing in like a stranger at a place that felt so much like home. But it hadn’t been home for over six years, and to the woman behind the desk I was a stranger and a visitor. My day was filled with meetings and filling out paperwork. Each meeting added confirmation in my heart that this was where God would have me to be. Back in missions. Back to the same mission where Matt and I served for many years—yet in a new capacity. Being that God has given me a love of writing, it wasn’t a surprise when He touched my heart to explore the possibilities of joining the Communications team at NTM. Having recently lost my husband to cancer, I labored over when the timing would be right to proceed. I asked God to make it clear. In the meantime, unbeknownst to me, the Director of Communications was praying about when it would be appropriate to write and let me know that if I was interested in writing for NTM, that they would love to have me consider that. He wanted it to be God’s timing—not his. God answered both our prayers. The letter was written, I responded, and God is in the process of putting the finishing touches on the timing of His perfect plan. I smiled as I walked out the doors at the end of the day, knowing that the next time I walked through those doors, I would no longer be a visitor. This promise came to the Israelites in the middle of captivity. It wasn’t an immediate promise, but the hope of a better future beyond captivity. During our journey with cancer, we weren’t captives, but we faced hardships and an unknown future. But we had God and each other, and that was enough. Still, there were those more distant unknowns, the after-Matt unknowns. Those unknowns could give cause to fret, which is why I think God gave me this verse. It was like He was reassuring me that He had a plan for me—even an after-Matt plan. He was reassuring me that He had a hope for me—even an after-Matt hope. And now I’m at that place. I’m at the after-Matt place. So what’s next? Matt and I had many discussions over the past few years of what my future would hold. Our numerous discussions always came back to the same conclusion, that I should head back into missions. Missions was where I was before I met Matt. Missions is where my heart remains. The details have been coming together beautifully, so much so, that next week I will be making a trip to New Tribes Mission’s headquarters in Florida for an interview. During that time I will also meet with the Communications Department, which is where I am most interested in working. Missions, communicating, and writing—what a wonderful blend of ministry and what I love. Your prayers are appreciated as I make this trip—and I look forward to giving you an update afterwards. Want to be notified when there's a new post? Click here!